So I tend to end up in random places with little to no planning somewhat more frequently than I like to admit. Such as spontaneous road trips to Laramie, or wherever, often times with no real good reason. 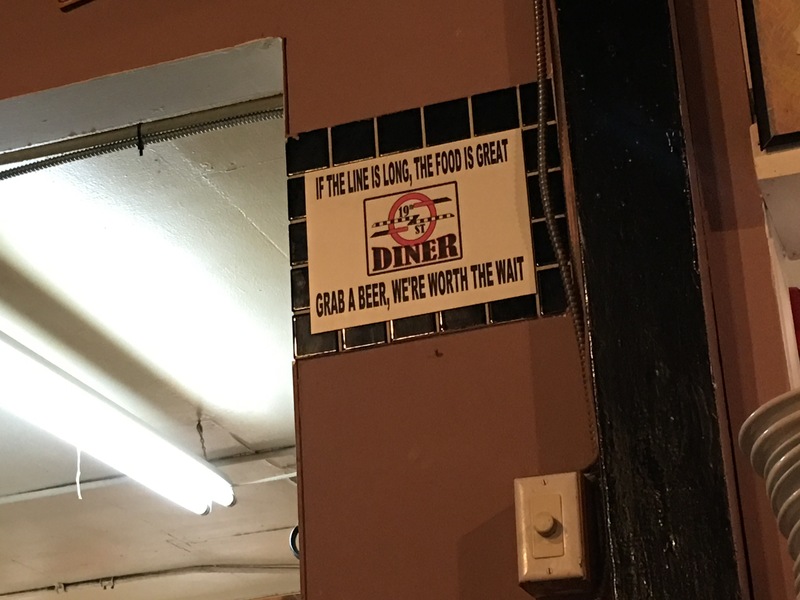 What ended me up in Glenwood Springs was actually a little bit planned, however. Although in the “well check-in is by 7:00 so I should be there any time between 4 and 7. Since I don’t usually feel like doing tons of interstate driving in one go, I like to make Moab a two day trip from Fort Collins. Then you can relax and enjoy the journey. Well luck has it that Glenwood Springs is a great halfway point between Fort Collins and Moab. Since I’m also cheap and don’t see the need for flashy hotels for $90/night, it works because Glenwood also has a nice little hostel that’s only $25/night for a bunk. A bunk and a hot shower is all a man needs travelling. Since this was November the first time I stayed, I opted for the warm bunk as opposed to camping. 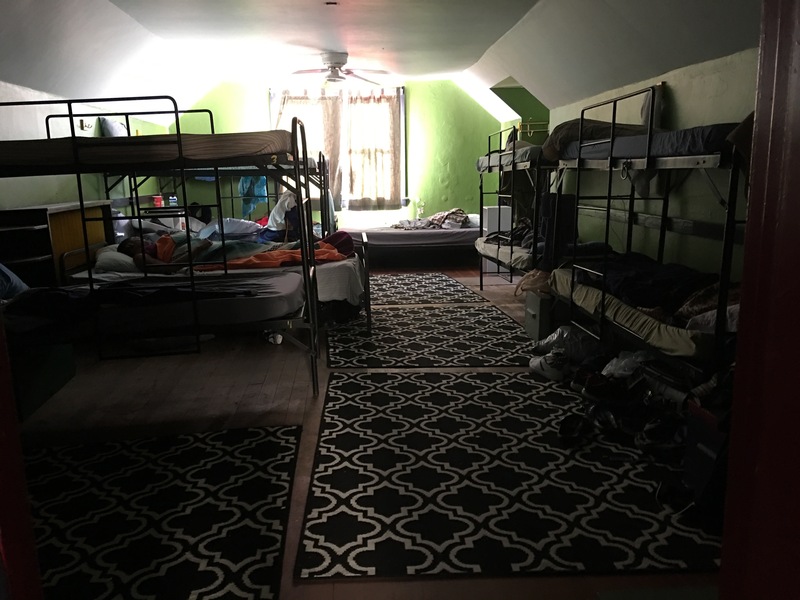 All hostels are different, and it is rarely the case that they are part of a chain. Nearly all hostels are independently owned and operated (support small business!). Because of this, the experience at different hostels will vary. Hostels are also almost always set up for social housing, which is sometimes coed. So the experience at the same hostel on different days and times of the year will almost always be unique. 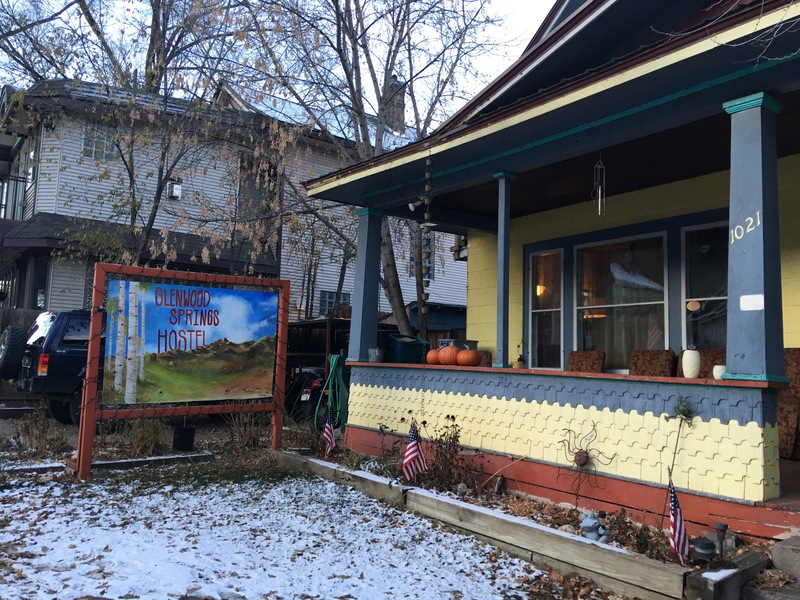 The Glenwood Springs hostel is a simple, non-flashy, quirky little place. Most of the guests will be short term, one or two night travellers. 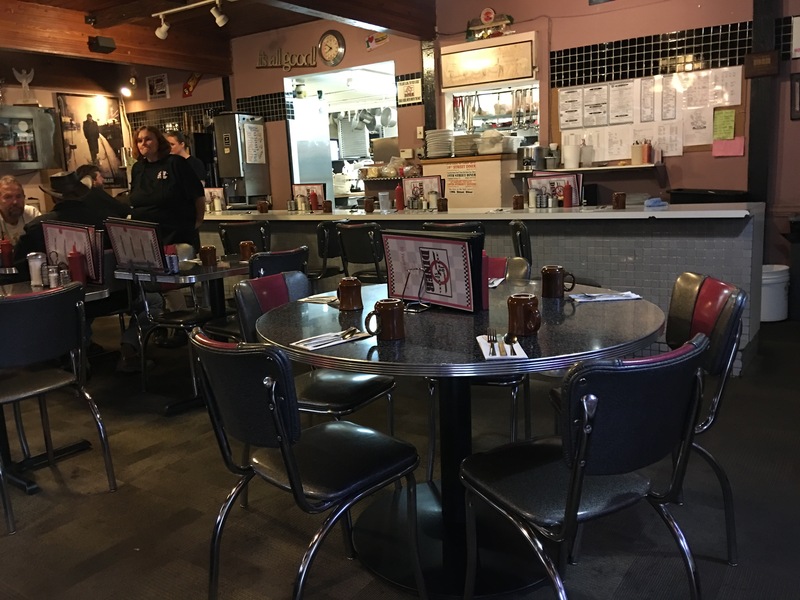 There is a second bunkhouse that is for longer term guests, for example, people working odd jobs in the area, in between leases, or having house work done. Glenwood Springs’ main tourist attraction are the hot springs. The hot springs are equipped with a large, 1,071,000 gallon pool, at 90f, and a smaller, 91,000 gallon “therapy” pool at 104f. There are also water slides. The pool water is completely cycled through every six hours, and purified 24 hours a day. The water comes out of the Yampah spring, with a daily flow of 3,500,000 gallons of water. The water percolates through bedrock into the Leadville aquifer, and is heated by a geothermal gradient in the area. It emerges at a temperature of 122 freedom units and has to be cooled with the addition of fresh water into the pools. Glenwood Springs feels moderately touristy. But it still feels less touristy than other I-70 corridor mountain towns, such as Vail or Silverthorne. 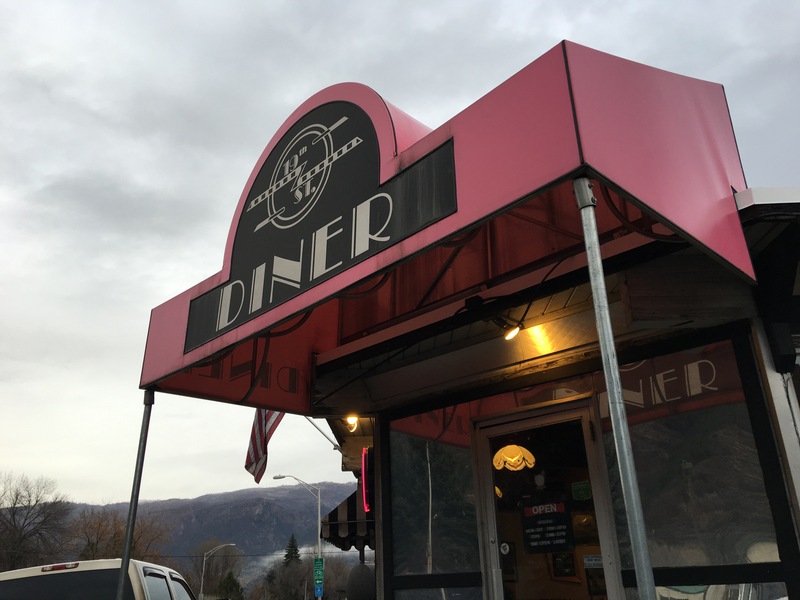 One of the go-to restaurants in Glenwood is the 19th St. diner, for both breakfast, lunch, and dinner. The food is certainly great, even the run of the mill stuff like eggs. Maybe it’s the atmosphere that makes it seem an order of magnitude better. 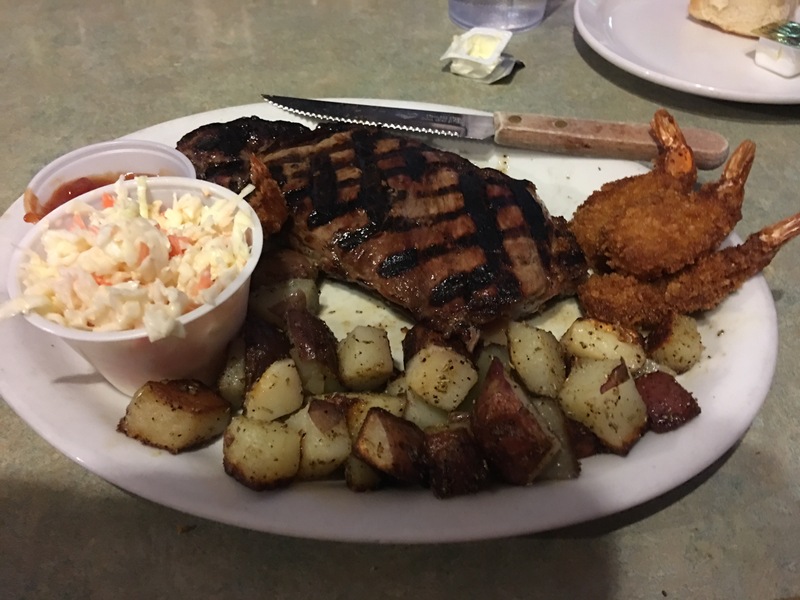 Dinner consisted of a 15oz New York steak, house potatoes and slaw, and beer battered shrimp. As a halfway point to Moab, or even a destination of its own, Glenwood offers plenty of opportunities for recreation and leisure. 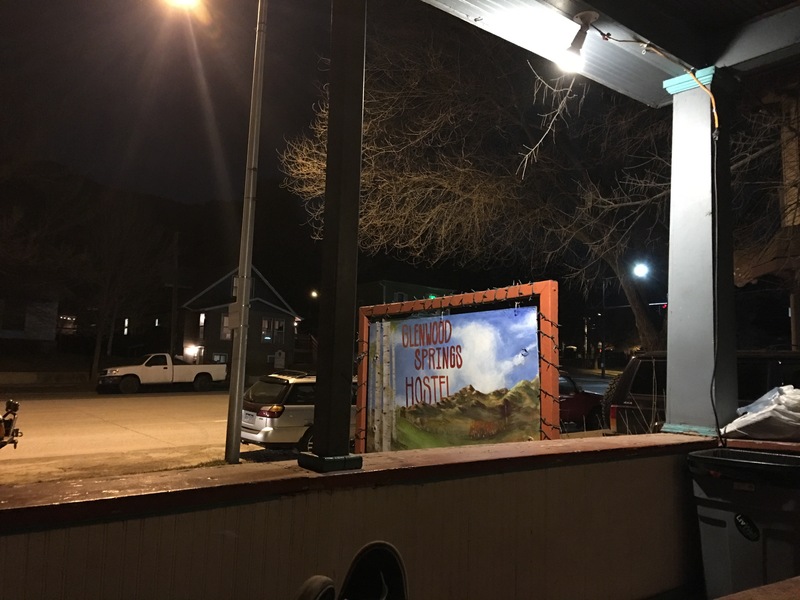 For those seeking a less pretentious option than a hotel, or simply something cheaper and more humble, the Glenwood Springs hostel is a great place to crash for the night.